Games have been the part of our lives from the time phones came into existence and that’s what has been brought into android too. We play Android games while we are in transit, waiting for someone or just get bored. There are penty of addictive games for Android that we would like to showcase. You will find these apps very addictive and enjoy playing them. You should have already heard about or played some of them but most of them will be new to you especially if you recently bought your first Android device. We are providing you with a list of top 55 most addictive games for Android you would find in the Google Play, for your devices. A new version of Angry birds in which their eggs get kidnapped by a giant claw, looking for their eggs these Angry birds find themselves in a lost universe full of space pigs. To these pigs they fight using super powers which are furnished in them already. A cool and an amazing addictive android game which is being played by over a million users on Android devices, making it one of the best games you would be looking to play. You will find many levels out there in the free version. 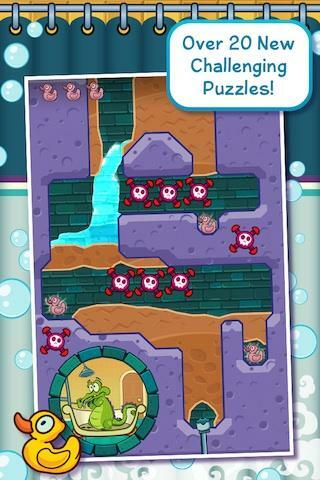 Download Where’s My Water Free? One of the most sensual Android games you would wish for. An adventurous game making you feel on the toes always. Burn the rope till you are allowed to do so as to clear your level and you have to keep good care of the burning flame as the flame burns only upside. 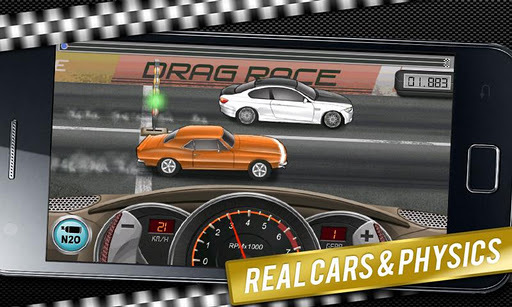 An Android game for racing freaks is what Racing moto can be best described as. 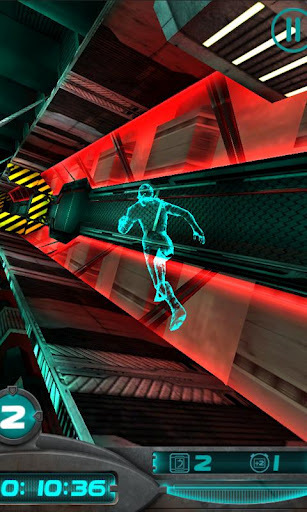 A fast moving speed game which allows you to feel like you are living on the edge. Simultaneously the game provides you to enjoy the view of sea, beaches, deserts, etc. 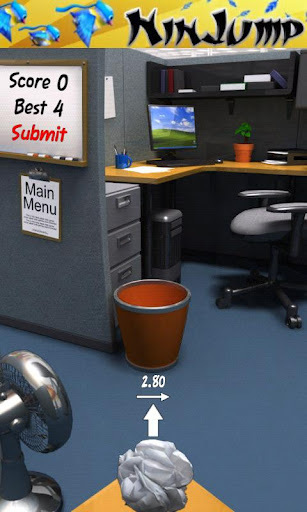 As the name specifies paper toss, it is an android game which resembles to scenario when a person at school or office gets bored and tosses a crumbled piece of paper into a trash can and actually determining his ability to see how many goals he can score. 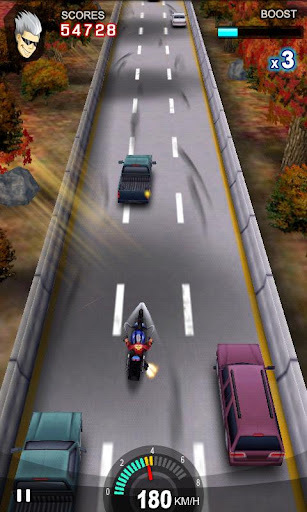 One of the best, popular and an amazing game one would have wished for on Android device. 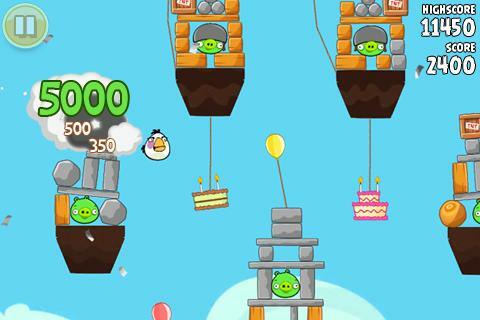 These birds are angry at the pigs who always try to steal their eggs and they take revenge in order to save their fate. A rising popularity and desire makes this game eventually released for Android too. 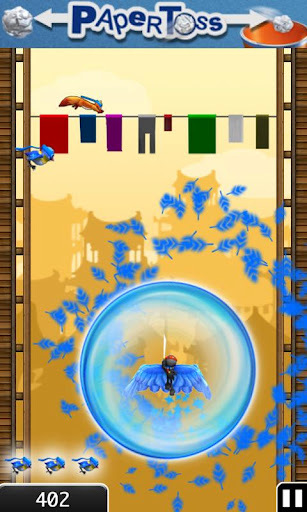 A ninja star fighting his through out and winning the hearts of millions of users, recommendation for you too to try it at least once. A young and newly born Dragon you are trying to have your first adventure of your life by trying to fly over the curvy hills. The Dragon mom is always worried about you and will always try to catch you and take you back to the nest. 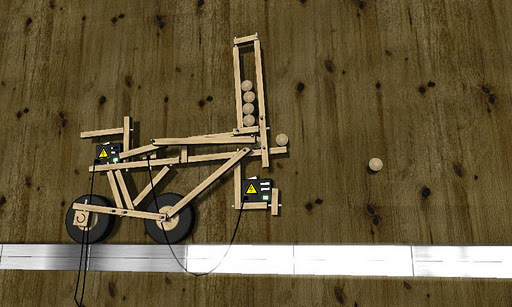 An android application in which you smash all the ants that comes in your way. 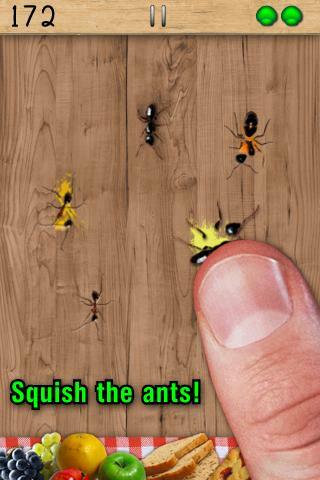 Keep your fingers busy by smashing the ants on the screen. It is an entertaining game for mostly kids as they love to play it because they found it amusing. 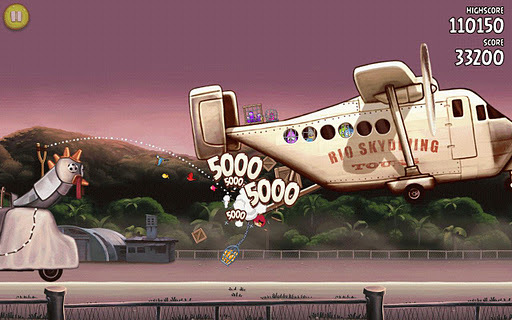 Developers have done a good job by providing the Android world with such a creative and addictive game. You can create a complex structure from small parts and build a machine which can outclass other competitors in every respective field. 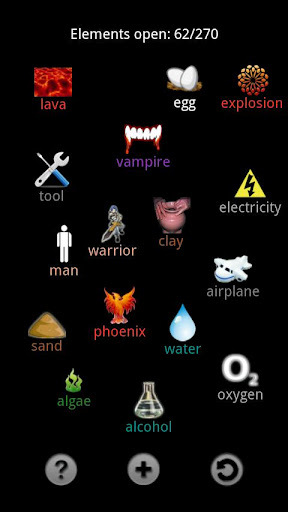 Chemistry based Android application making you feel like a chemist who has only four basic elements present viz: Fire, Water, Air and earth. By using these four elements you have to create various other substances. 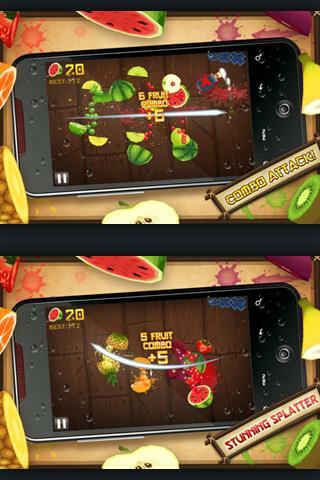 A ninja based game in which you need to splash the juicy fruits and make carnage of these fruits. A juicy game which makes your mood delicious and sweet as you have to deal with splashy fruits in all. A racing game with a realistic approach makes you feel like you are on the brink of acquiring some respect, honour and let the adventure creep over you. More than 50 cars are in the stock, enjoy the drive and feel on the top of the game. 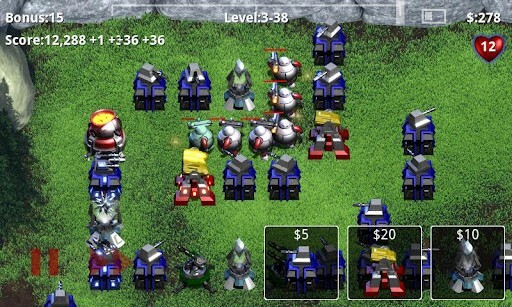 A portable defense game comes with maps, nice features, upgrades and much more. Free version has its own limitations and lacks many a features but the full version comes with more compatibility and ease. As we all must be known with the actual Angry bird’s game. This game is an extended version of that, in which the actual Angry birds get kidnapped and are kept in the city of Rio de janeiro. From this city they escape and help saving their fellow companions. 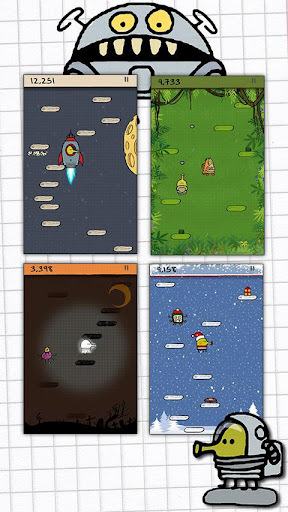 When one was a young kid every one wished to see a glance of universe limits, this game helps you in achieving that funny wish. A mega jump and you are off towards the exploration of universe. More coins you will grab more are your chances of getting close to the limits. Start your game by blasting the bubbles and eventually you would see yourself in a chain reaction of these bubbles and may be you would never be able to stop the reaction. 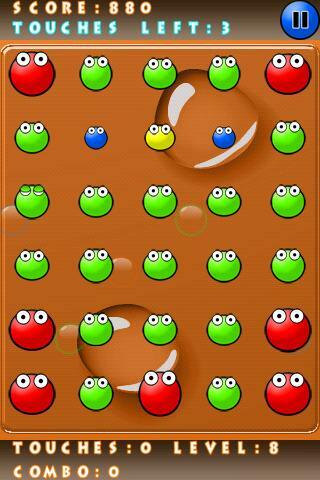 The motto is to make this reaction stop and blast all the bubbles, either by playing in puzzle mode or an arcade mode. 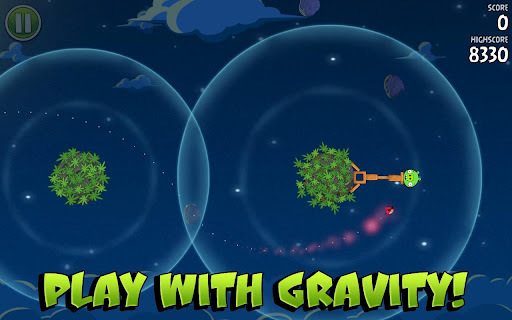 A 3D Android game which allows you to redefine the characteristics of gravity, thus making this game one of the most vulnerable ones to users. An adventurous game with nonstop action checks out your composure. 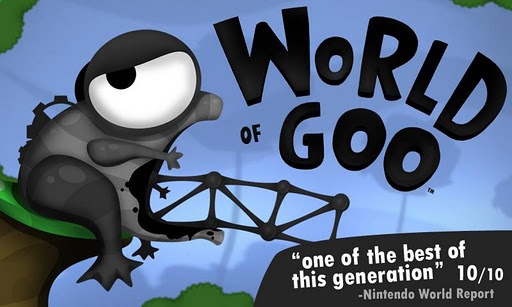 A world of Goo balls in there to explore their existence in the particular world is actually what this game describes itself out. Strand these balls and build the most complex structures, thus giving them a worth to their existence. 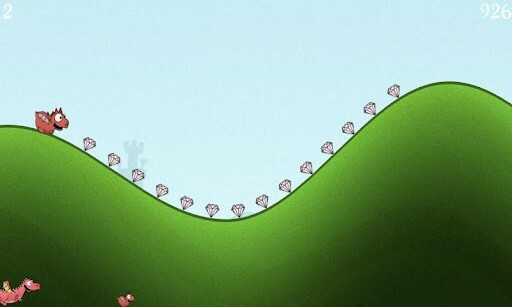 A runaway is there and you have to make your Doodle jump from one to other to other and so on, till it reaches to the top. 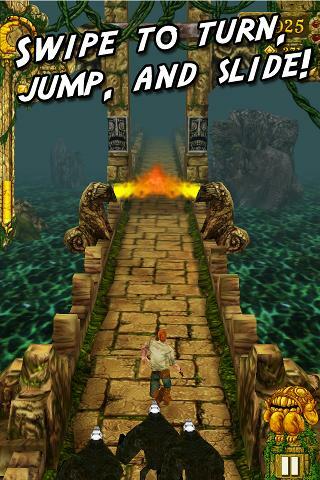 Previously this game was only been developed for iphone but it is out for android too now. 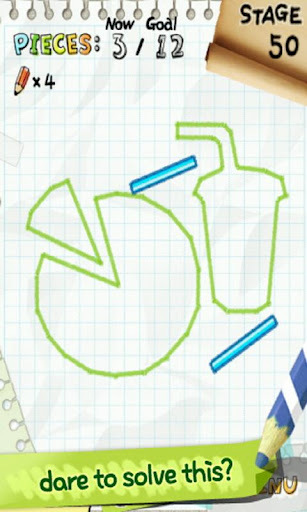 Cut the rope and let the candy fell into the mouth of Om Nom monster. 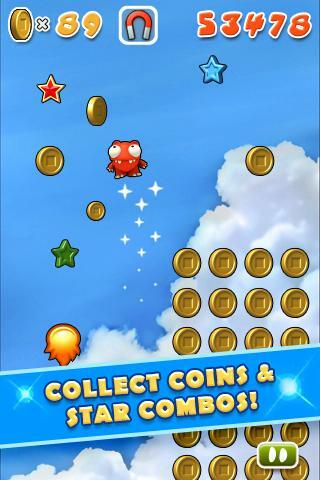 Collect stars and unlock new levels and gain scores. 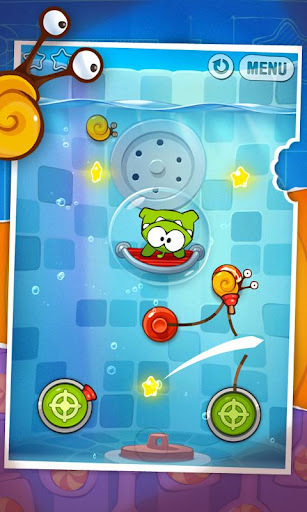 Download Cut the Rope Experiments. 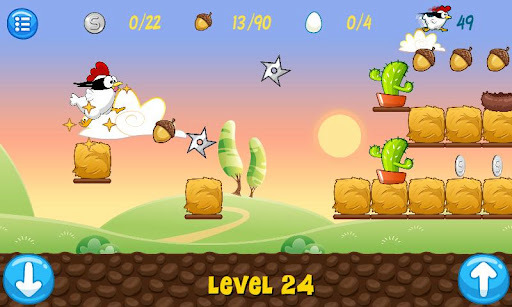 One of the funniest games you would ever love to play is on Android now, Ninja chicken. One of our beloved chicken feels that he has been bestowed upon the powers of a ninja and that too a ninja who tops them all in every respect. Enjoy the chicken in a new dementia of ninja. 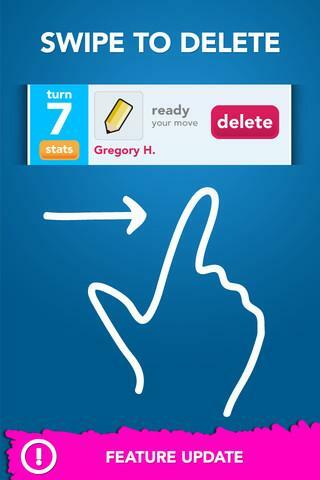 Experience one of the best guessing and drawing games in the Android market at present. Draw any structure, figure and let the game draw it. You should also checkout Android TV apps, Android bluetooth keyboards and best Android VoIP clients. Nice list Uzair. 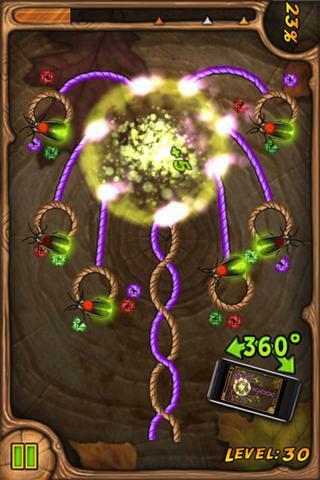 I like where’s my water because you need to be very clever to solve this physics based puzzler.